Because we are consistently bombarded by social media, people have started turning their backs on Facebook and Twitter. And yeah, Google Plus seems to be literally dead. So where do creative solutions services turn to get their share of social media updates? 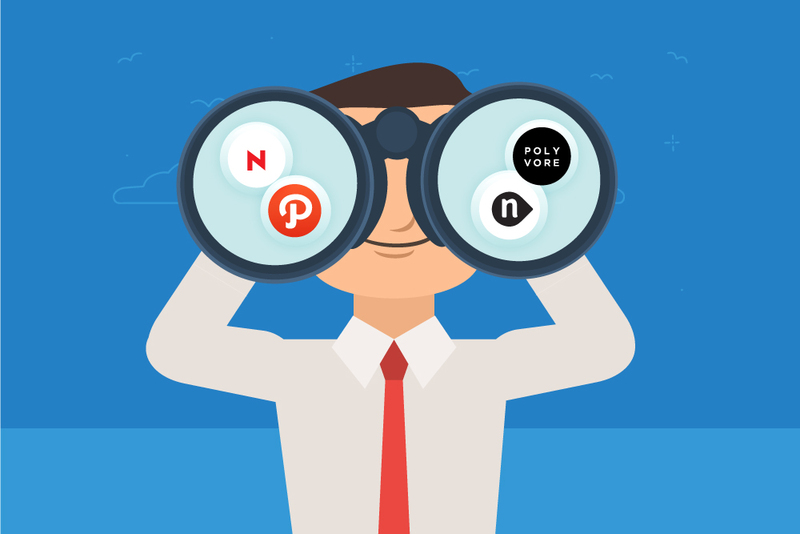 Check out these obscure but useful social networks that may help you with your business. One of the major issues we experience with Facebook is that, after some time, we end up adding a horde of people we don’t know personally. In just a few months, you can quickly accumulate a number of “hu u’s” who don’t have any relevant link or relation to you. Path is the answer to that problem, by putting a limit on the number of friends you can add. Also, with Path, you can communicate with and send stuff to only 150 contacts. Think of this as a product-based, market version of Pinterest. Polyvore shifts its attention to assisting shoppers and helping them find and buy the latest trends in fashion. This social media platform is being hailed as a powerful disruptor. Lately, Polyvore boasts a higher conversion rate than Pinterest and Twitter, and has a higher range of purchase conversions versus Facebook, Twitter, Instagram, and Pinterest combined. What’s your biggest concern with most social networks? They keep you tied to the Internet, eventually making you spend more time on the virtual world instead of real-life interaction with friends. For this, Nextt provides a solution. While social media apps like Facebook and Instagram let you post throwbacks, this app is more focused on things that you’re planning to do in the future. Nextt enables you to file your fave contacts in one handy place and lets you conveniently organise and execute your event or travel plans in the future. Need allows you to directly communicate the things you need and where, when, and why you need it to your contacts. It’s an app where you can post all your queries, concerns, questions, and solutions. This makes it a really cool place to discover stuff. Also, this app allows you to post useful information that you feel might provide solutions to someone, thus building an epic social media following for you. Secret is a confessions app, letting you anonymously express your innermost thoughts and concerns. Well, let’s just say that it’s a place where you can share the latest gossip and rumours, or an app where you can just practically vent out. Secret is famous though for its series of pretty heart-warming threads – and you’ll get more of these kind of interactions as you gain more followers. However, here’s the deal: you won’t be able to gain access to it fully until you follow three or more friends. Unless you are extremely obvious though, there’s no need to worry that your friends may catch you. Due to its very secretive nature, and it’s very secure guidelines, Secret has grown into a communications app powerhouse that lets you share your mind and express how you feel without being judged.